Bob Ansett, the son of Sir Reginald Ansett, came back to Australia from the U.S. flat-broke at 31, with his wife and three children. He applied for a job with his father and was rejected, so he started Budget in Melbourne, Victoria. With sheer persistence and determination, Bob launched Budget Rent a Car with very little capital and limited business experience. In the winter of 1965, the Australian economy was bubbling along still in the slip stream of the post war boom. Solid economic growth, high employment, low inflation and historically low interest rates combined to sustain one of the longest economic booms in Australia’s history. Supported by a paternalistic government committed to the protection of Australian industries with policies designed to sustain the status quo, including high tariffs and quotas on imported goods Australian businesses were becoming fat and lazy, as usually happens when competition is blunted. Public ownership of airlines, banks, utilities, transport and telecommunications contributed to this laissez-faire business environment as Governments - Federal and State - did not permit any competition to impede the performances of their publicly owned businesses. Launching a new business in to this environment provided both opportunities and challenges. The opportunities arose from a stable government experienced in setting economic policy and the challenges were dealing with the protectionist policies of this paternalistic government. However, believing oppressive regulation leads to inefficiencies and poor quality customer service, I chose to develop a new car rental business in to the highly regulated and un-competitive transport industry. For not only were the airlines, trains, buses and taxis shielded from competition but so was the dominant car rental company. As airports were the major market for the hiring of cars, the government, in its wisdom, confined airport access to just one operator, the market leader, Avis. In 1965 total turnover of the Australian Car Rental Industry was approximately $20 million dollars. Fewer than 3% of the Australian population had ever rented a car and they were confined to the top socio economic group. The market leader, Avis had 85% of the total market because of their exclusive agreement with Government to supply rental cars at all 56 domestic airports. 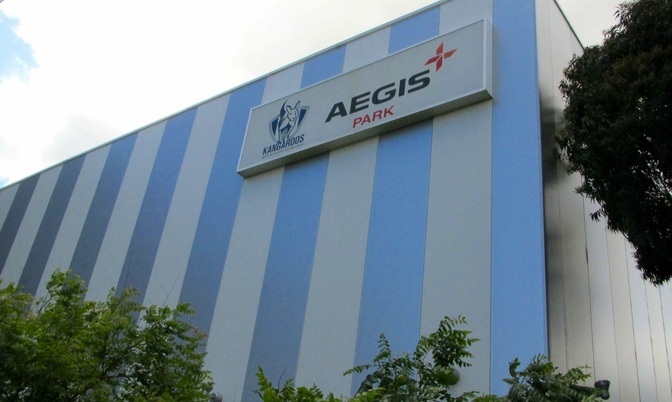 The remaining 15% was divided up amongst 49 other companies. At the time, the Car Rental business was very much a ‘cottage industry’ which was what attracted me to it - a ‘cottage industry’ with potential to become a dynamic force in Australian Transport. I saw an opportunity to initially get a sustainable share of the existing business and in the longer term to grow the entire industry. To accomplish these goals, I first needed to develop a brand that would capture the imagination of the Australian public. This meant differentiating ourselves from other car rental companies by constantly innovating. In other words, doing things that no one else in the industry had done or was likely to do. 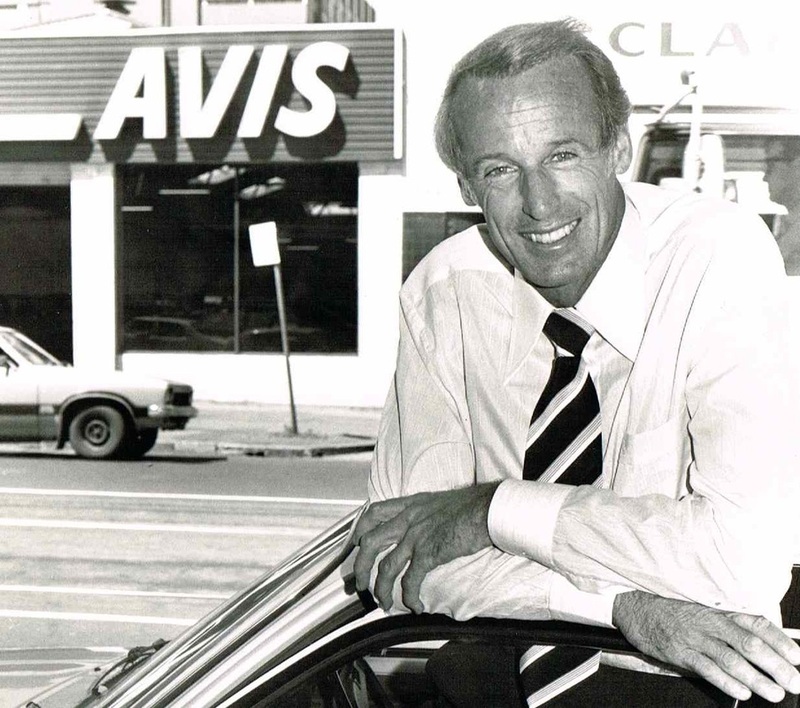 With 70% of car rentals occurring at 56 Australian airports Avis enjoyed a unique competitive advantage over all other operators and had done so for 25 years. While every 15 years the government would put the contract for airport car rentals out to tender, realistically only one company could expect to win, because of its extensive network and contractual arrangements with the two Australian domestic airlines. So my first task was to find a point of difference between Budget and the rest of the field. Two opportunities existed. One was to deliver ‘consistent customer service excellence’. The second was to use myself as the image of Budget and thus personalize the company in a way that couldn’t be emulated by competitors. I intended to position Budget in a way that would draw attention to it as a company with a difference; one that was an innovative, creative and aggressive company thriving on competition in what was otherwise a pretty bland non-competitive business environment. Although I didn’t know it at the time, I would have to change the work environment that then existed in Australia to achieve these goals. And the key ‘change’ mechanism was to be ‘relationship marketing’, notwithstanding the fact this form of marketing had not been identified or for that matter knowingly practiced at the time. However, through all this developmental phase, the major car rental market remained at airports. So after establishing a network of outlets and creating a general awareness of Budget it was now time to focus on ways and means of convincing the government to change its restrictive trade policy at airports. Beginning in 1974 Budget commenced a PR and advertising campaign based on the simple theme of, “Freedom of Choice”. Television commercials were created promoting the theme which deliberately didn’t mention anything about Budget’s price or service. The message repeatedly stated that, ‘we want the opportunity to compete’. We commenced lobbying State and Federal Governments, talking to Ministers and Opposition Leaders seeking their help in offering airline travellers a freedom of choice when renting a car at airports. Backing up our campaign was extensive research conducted by independent research companies which revealed the vast majority of Australians wanted competition and supported Budget’s appeal for a ‘fair go’. Over 10,000 signatures were collected on a petition demanding competition at Airports. The petition was delivered to the Minister of Aviation in Canberra in 1977. Still the Federal Government remained reluctant to consider change. As governments and particularly un-elected bureaucrats feel most comfortable with the status quo, and are threatened by any sort of change they resisted, concerned about their extra workload and the possibility of this leading to a demand for serious competition within the restricted two airline system. With 3 years remaining on the exclusive Avis Airport contract and governments reluctance to change its policy at airports, something radical had to be done. So with the information gathered from 10’s of thousands of customers over the past 10 years we launched an intense “Relationship Marketing” campaign aimed at getting our customers to support us in the push for airport entry. Each customer received a comprehensive submission setting out the benefits that would accrue to them and Australia by opening up airports to competition. We suggested that even though car rentals were not a major industry at the time, it could set the example for micro economic reform so sorely needed in Australia. The mail out was personalized and contained a post card that virtually demanded the government dispense with the anti competitive ‘one car rental system’ at airports. Combined with other advertising we were doing and the PR, which usually involved me as spokesperson for the company being interviewed by various Current Affair TV and radio programs, plus an increasing number of editorials written in our major newspapers, the government was becoming increasingly uneasy and quite defensive. A further round of lobbying all key government deision makers finally did the trick. A new rental car airport tender document was distributed to the industry calling for three operators at all Australian Airports commencing June 30 1979. As it turned out Budget, along with Avis and Hertz were the successful tenders, giving us just 6 weeks to set up desks, communications systems and parking facilities at all 56 airports. The Budget team mobilized and achieved miracles in the short space of time available to us. Having worked for 5 years to win this opportunity, it was now time to capitalize on the victory. We had to ensure Budget generated enough business to operate profitably at each of the airports from day one. Avis had argued all along there was insufficient business at airports to support 2 operators, let alone 3, so we had to prove them wrong and the only way we could do that was to expand the market for car rentals at airports. My argument had always been that a monopoly is the antithesis of growth as it is restrictive and threatening to potential customers. Establishing facilities at the 56 airports was a huge task in itself, but we had to do more. After gaining the public’s support throughout our campaign, we now needed to reward them for their support and hope that in doing so increase the car rental market. Until July 1979 all rental cars in Australia and, for that matter, most of the world were rented on a ‘time and mileage’ basis. That is, you paid so much a day and so much for every mile you travel. In Australia it was $20.00 a day plus 10 cents a mile for a medium sized car. The Sunday night before we commenced trading at airports 65% of Australia’s TV viewers saw our new commercial which was “Budget has Cut The Red Tape and is Now On Airports” and we have introduced a “Flat Rate”. Our competition caught wrong footed with the Flat Rate initiative were reluctant to follow our lead and deferred for 6 months a flat rate charge, but by then it was too late as we had captured over 50% of airport rentals, and most importantly, had increased the overall volume of airport rentals by 30%. Confirming my view that serious competition expands markets, airport rentals doubled over the first 6 months. Now as market leader, we needed to hold our position. Given our two major competitors were owned by Avis and Hertz America, they were not going to be content in running 2nd and 3rdrespectively. Using the old adage, ‘never relax when in front’ we continually sought ways to simplify the renting of cars and to introduce new products and services. One concern was we were growing so rapidly that senior management and department heads were drifting further and further away from direct contact with customers. To combat this trend, each of us had to spend at least one day a month working behind a rental counter in one of Budget’s locations. This had a two-fold effect. First, it exposed senior management to the customer. They were able to talk to customers and find out first hand what it was that attracted them to Budget, and what more we could do in the way of improving our service so as to enhance their loyalty to us. Secondly, working alongside our retail employees on their turf enabled us to identify weaknesses in systems and processes which may have hindered our ability to delivery of a seamless service. As it turned out many of our systems were too slow and cumbersome for rapid airport rentals but by witnessing first hand these deficiencies and listening to our rental personnel explain some of the problems, we were able to react quickly and make the necessary corrections. Often some minor tweaking of the process or system was sufficient to satisfy everyone’s needs. It re-enforced our theory that processes and systems can meet the requirements of business while at the same time be ‘user friendly’. To achieve this balance, it usually means explaining to customers what you want to achieve, then soliciting their thoughts and opinions on how you can arrive at the result you want without inconveniencing the customer. Further, this close contact with customers and retail employees enabled us to come up with ideas for new products and or services. Consequently, we introduced a policy requiring Budget to launch a new service or product every 6 months that, to our knowledge, had never been tried by car rental companies anywhere in the world. The time span of six months was determined by the length of time it took to consider the idea by a panel of ‘team-mates’ representing operations, administration and marketing. Once the decision to proceed was reached we then had to set up systems to efficiently deliver the service or product. Personnel training both in retail and administration followed, after which internal marketing of the initiative began. By the end of the 6th month we were then ready to announce it to the public and kick it off with a major marketing campaign. Once it was in the market, the process started all over again. Many initiatives were designed to help us improve utilization and thus profitability so both the customer and Budget benefited. A win, win situation. During the decade of the 1980’s Budget introduced 20 innovations which not only endeared Budget to their customers, but drove our competitors mad, for as soon as they copied one of our initiatives, the next one would be coming down the production line. It was impossible for them to catch up or take ownership away from Budget. All they could hope to do was stay in touch. From 1985 to 1990 the Budget brand was amongst the top 12 recognizable brands in Australia and, more importantly, in the top 10 most admired brands. Research in the late 80’s revealed 80% of first time renters chose Budget. Due to changing economic conditions - after the share market crash and then the air pilots’ strike in the late 1980’s, Budget losses grew beyond their ability to fund them, the company was ultimately acquired by Budget America. Bob left in 1990 and set up Bob Ansett Marketing and later moved to Noosa Head in Queensland. Born in Hamilton in 1933. Went to Scotch and Wesley College (as a boarder) in Melbourne and then moved to the USA (Los Angelas - Tihunga) with his mother Grace and brother John in 1943. Went to boarding school again - Ridgeway Military Academy in the U.S. and returned to Australia in 1965 at the age of 31. 13 years as President / Chairman. Bob’s pivotal moments during his Presidency includes Building the Grand Final Breakfast into a major event and an income earner for the club. Giving it a national presence that evolved into endorsement by the AFL as the launch of Grand Final Day. Inviting women to pre-game Presidents luncheon. Transferring home games from Arden Street to the MCG. The introduction of Friday night football, with North Melbourne virtually owning this key slot for several years. It paved the way for lucrative television rights for the AFL and has become the most sought after time slot. The floating of the football club in 1987 raised $3.0 million dollars and enabled the club to retire its accumulated debt and bank the remaining $500,000. Bob obtained his first drivers license at the age of 16, enabling him to drive to school each day. His first car was a bright red 1934 (model 40B) V8 coupe with a rear rumble seat. It was 13 years old and in immaculate condition with a ‘hopped’ up engine and duel exhaust. In the 1980’s Bob drove a 1985 Porsche 911, he appreciates beautifully engineered cars and now currently drives a Nissan Murano. The Budget fleet had 12,000 rental cars and 8,000 lease cars (to some of Australia’s largest companies - ‘full maintenance fleet leasing’ which Orix leasing eventually bought in the 1990’s) and Bob had plenty of opportunities to compare different cars from Australia and overseas. My driving advice which I give myself constantly is to “Drive defensively at all times”. Swimming and running daily through the Noosa National Park, and Bob also plays tennis and golf on a weekly basis. Note: Bob Ansett gave me permission to refer to his content and information, and I have also referred to his 1986 Autobiography, written by R. Pullan for dates and timelines. Photos: 1st photo is of Bob at Budget in his early days. 2nd photo is Budget at Box Hill which Bob managed. 3rd photo is Budget Head Office in Bedford Street, North Melbourne in the 1980’s. The building has since been updated over the last 20 years.